Upon earning caffeine-powered engineering degrees from Georgia Tech, both Anu and Suyog landed jobs in Atlanta with the highly innovative, super-hip international marketing giant SapientNitro. They levitated their way up the corporate ladder, from entry-level tech jobs to project management and business strategy. Twenty-something Anu found herself a creative project manager entrusted with some of the company’s highest profile brands: Coca-Cola, MetLife, NASCAR. After a decade in Atlanta, the couple jumped at the chance when Sapient offered both of them jobs working out of the London office. They packed up their wedding presents—including a fancy espresso machine one of Suyog’s cousins had given them—and moved to England for the year of the Olympics, in 2012. Like a lot of bright and accomplished professionals, Anu and Suyog were hungry for meaning as well as success. They longed to tether their work ethic, intelligence and creativity to something smaller and more personal than Sapient’s international roster of corporate clients. The two spent much of their free time, during their fourteen months in London, brainstorming possibilities for starting a business. They were moved by Steve Jobs’ landmark speech at Stanford, intrigued by Chris Guillebeau and his website promoting “The Art of Non-Conformity” and empowered by the tale of another young couple who found the courage to leave the path they were on to pursue an unconventional goal. Even though they were both part of the vast and vibrant team at SapientNitro, their paths almost never crossed there. The prospect of working together—pooling their creativity and passion in service of a common, personally meaningful goal—set both of them on fire. And then a concept took hold of them—something having to do with their own cherished morning ritual they’d developed together: the perfect cup of coffee, brewed at home from world-class beans chosen to fit every individual customer’s tastes. Suyog took us back in time to where the couple’s coffee connection started. “When Anu and I met at Georgia Tech, we were both addicted to caffeine, but didn’t pay much attention to our coffee.” Born and raised in Mumbai until he left for college at age 18, Suyog’s morning drink at home was a cup of warm milk “with a dash of instant coffee, added for flavor.” Anu also grew up drinking instant coffee, mixed with milk and sugar—but, unlike Suyog, she was a world traveler from the start. Born in Surat, India, Anu moved with her father’s work in the oil industry from one exotic locale to another throughout her childhood, from Nigeria to Dubai, Abu Dhabi and Muscat, Oman. She grew up speaking English, as well as some Hindi, French and Malayalam, the language of the Indian state of Kerala, where both her parents were born. Anu and Suyog each started to drink more and more coffee to meet the demands of their engineering curriculum at Georgia Tech. Long hours and little sleep were the norm for students in their program—at least for those students who hoped to land good jobs after graduation, or a place in graduate school. The espresso machine, once unpacked in London, called for an expertise and knowledge neither Anu nor Suyog possessed—but were suddenly determined to acquire. They invested in a burr grinder, and tried out some coffee bean delivery services, analyzing what they liked and didn’t like. 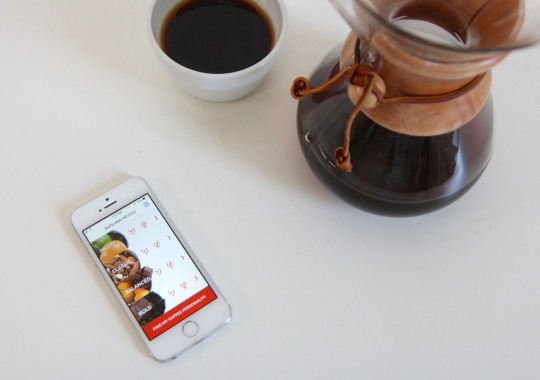 They realized that coffee beans are as different and varied in their flavor profiles as wine—and yet all the mail-order services they tried used a one-size-fits-all approach for their customers. 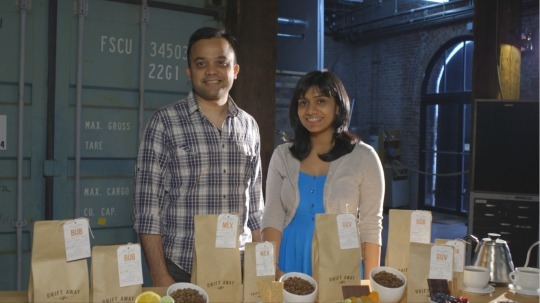 Anu quit SapientNitro in 2013 to start learning everything she could about the business of coffee beans. “There was so much to do, in terms of learning about coffee roasting, developing our packaging, figuring out shipping, designing and implementing the website…” Anu worked on the project full time while Suyog, who didn’t quit his job for another year, helped out on weekends. 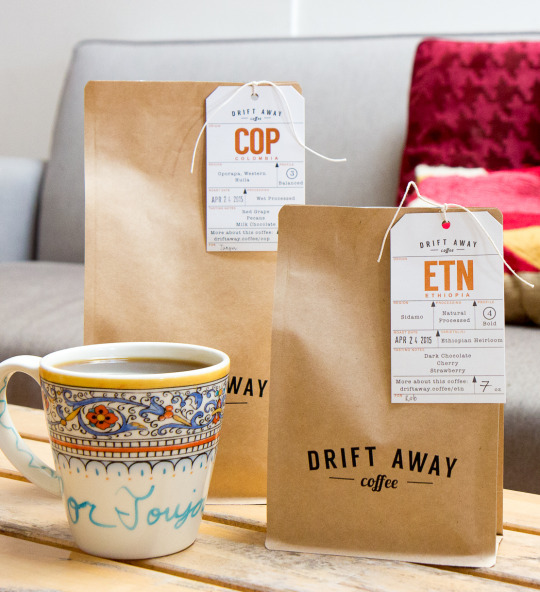 Eventually, Anu and Suyog hope to expand Driftaway’s capabilities on the sourcing side by forming strong relationships with coffee producers and farmers—and to do socio-economic development projects in those regions.